Forget the smartphone. This is a war between Super Phones, baby. And with Apple pitted against Google, it’s a brand war as much as a technology one. Robert Fabricant outlines some strategies on how to win it. Forget the smartphone. How about an AppPhone? Or a Super-Smart Phone? 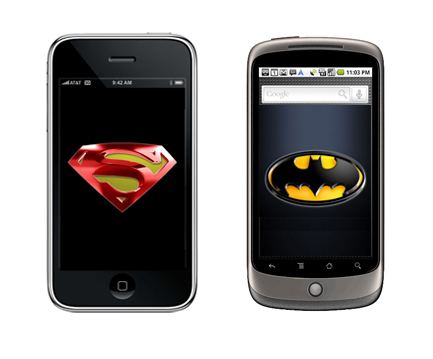 Yes, it’s a SUPER PHONE Smackdown! The battle is heating up with Google (finally) firing on all cylinders with the release of its Nexus One. Nice to see a worthy competitor to Apple emerge after almost three years of wimps. On a feature level the Nexus offers the right firepower. But this is battle for hearts and minds as much as processing power. These SUPER communication devices represent intense, emotional and personal commitments. We don’t just buy them, we adopt them. They are more a part of our identity than any previous digital technology. We are merging our own identities with Apple, Google, or whomever. That’s right, this is a brand war as much as a technology one. Google will have to figure out how to compete with Apple on that level if they are to succeed with their mobile strategy. My colleague at frog, Hans Neubert, calls this approach Brand-Led Innovation. With so many new smartphones coming to market with similar features it is critical to define a differentiated brand promise and then deliver on it! Seems simple enough, but most tech companies still go about their product strategy in the opposite way: defining a set of features by imitating what’s already successful in the market; adding a few, minor twists; and then figuring out a “brand” at the last minute (Storm, Instinct, CLIQ…). So it is no wonder that all of the new super phones seem to be competing for exactly same mindshare (with an extra curve, keyboard, voice feature or megapixel thrown in). They tend to look at the brand problem in isolation, at a product level (Droid) and occasionally at a service level (Ovi, MotoBlur). They rarely taking holistic view. The lone exception being…Apple, of course. 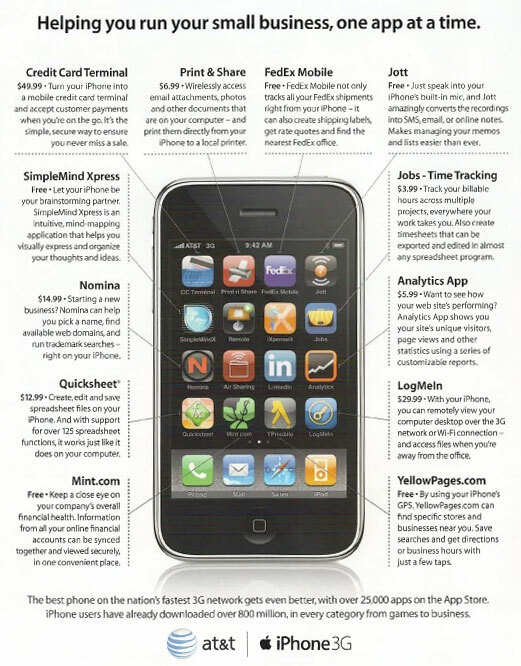 This brings to mind a moment this past summer, after the Palm Pre launched (or was that 2008? seems sooooo long ago). The future of two public companies (Palm and Sprint) were riding on the product launch. And they seemed to get a lot of things right with the design, right? The demo at CES was flawless, even Apple-like. They had a UX designer show it off (to the delight of many of my colleagues at frog). Lots of nice tech and design, but what was the value proposition: “The Pre is the only phone that lets you run multiple live applications at the same time.” What? Why didn’t Palm think about how to position their product–in what would undoubtedly be a crowded market–before rushing to copy the iPhone? And why did Motorola following them down the exact same path with the Droid (“iDont run simultaneous apps”)? Will the rest of the pack (Microsoft, RIM, Nokia, Samsung, Dell) come up with anything better? And what about Google? Apple changed the game, not just with their technology, but with the way they marketed the benefits of the iPhone software experience. Touch screens have been around for a long time, yet they succeeded in making “touch” seem both revolutionary and meaningful. That got people’s attention but then Apple quickly switched gears to market the phone through an endless stream of software apps that showcase the value of the iPhone platform in new and powerful ways. Nice! Not only did Apple fundamentally shift the economics of the mobile phone business they fundamentally shifted the software marketing game as well, forcing everyone to compete with their app store juggernaut. Try to come up with a unique value proposition for your smartphone and it is likely that Apple offers dozens of apps that deliver that same benefit. Game over, right? It is tempting to think that Apple has all the bases covered with 100,000 apps and counting. There is nothing for Samsung and the others to do but ramp up an app store in hopes of eventually catching up. But this is exactly what Steve Jobs wants the rest of the industry to think. He wants to turn the smartphone game into an apps game that he will clearly win. We are seeing most of the major manufacturers like Nokia and RIM take the bait. If the smartphone is a computer then value must be in the apps, right? This is home turf for Apple which knows more about computers and apps than just about anyone (including Google, I would argue). But is the app model the right one? Smartphones play a fundamentally different role in our lives than PCs. It is not self-evident that the PC/app value proposition is the right path forward. Apps are important, but they are not the whole story. Apps cut up our experiences and relationships into a million different modalities, one place to share movies, a different place to tweet and a different place to find a restaurant recommendation. But, all these apps can’t conceal the fact that Apple has neglected some of the fundamentals. What is desperately missing is the glue between these apps. The shared intelligence and integrated services that will transform the overall experience. What does Apple offer there? This should be the Nexus, if Google can just stop talking about different versions of Android for a second. The integration of location and voice throughout the product, not as siloed apps, will make the phone a whole lot smarter. And, thus, make the user feel a whole lot smarter. Google indexes everything, so they are in an ideal position to augment our experiences and conversations. Through a combination of voice input, voice output, semantic analysis and location based data the phone can continue to cache relevant data to suit the context with ever-increasingly intelligence. This is seriously powerful! The phone is a cluster of sensors that can listen all the time. Google can also index that data and migrate it to the cloud through Android’s background processing to increase the precision and relevance of their services. I don’t see Apple competing with that anytime soon. When I turn on my phone I want to see people, not a bunch of apps. Almost everything I do from a phone has to do with people either directly (calling or texting) or indirectly (sharing media, links, recommendations or other fun stuff). Contacts are the glue for 90% of what I do on a phone. So why has no one successfully designed and delivered a people-centric phone? A lot of companies have been chasing this from T-Mobile’s Fab Five to MotoBlur. But no one has gotten it right. Maybe Facebook should acquire Skype and get into the game with their own Super Phone? This is the one that interests me the most. As Facebook has demonstrated, we are endlessly fascinated by information about ourselves. 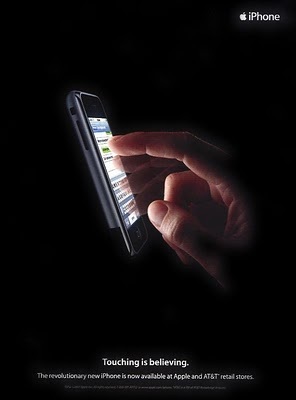 Phones provide a unique window into our lives because they are with us all the time. This capability is being leveraged by a wave of new applications like WideNoise and augmented by a host of sensors (like GPS, accelerometer, cameras) that are standard on more and more devices. So why cant my phone become the ultimate tool for measuring and optimizing my behavior–and competing with my friends? 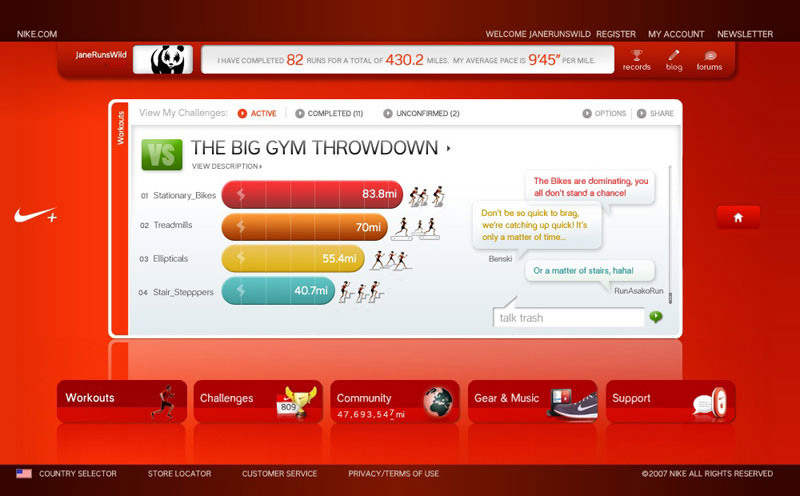 This version would bring the social competition of XBox, Nike+ and WiiFit to everything I do, from texting to shopping to dieting to commuting. Life will become the ultimate game. You can already see this trend emerging in apps like foursquare, and frog’s forthcoming temptd. It is ripe for an overarching play. For all of the investment in new smartphone platforms there remains a huge lack of imagination that is crippling the category. These opportunities I have described are not that novel. Some have been tried. But none have been done well enough to create a lasting identity in the market. While Apple sits on the sidelines and lets its developer community drive innovation, there is a growing opportunity for other companies to create integrated offerings that put the iPhone to shame and redefine the rules of engagement. There are tremendous opportunities for differentiation in the smartphone market for companies that stop focusing on the iPhone and resist the temptation to compete with Apple on their terms. With the Nexus, Google still has not shown that they are serious about that.